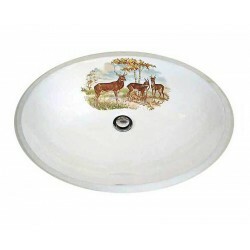 Perfect for a hunting lodge or cabin. A moose and a deer gazing into one another's eyes? 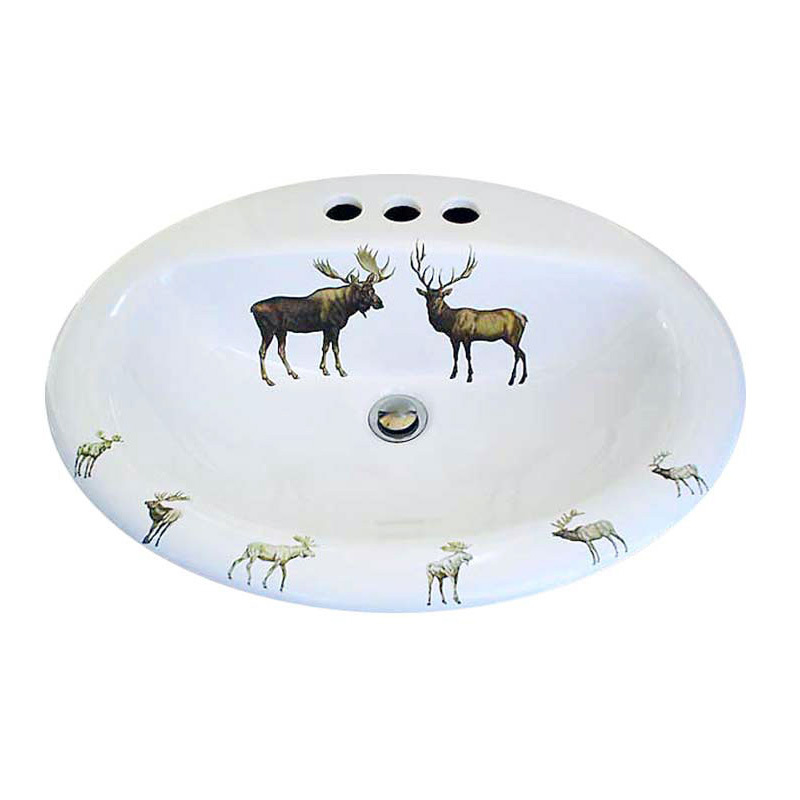 Painted in shades of brown and gray with some smaller, distressed effect animals on the rim of the sink. Shown on a generic white drop-in. Can be adapted to any type of fixture. Visit our Fixture Choices page for options. 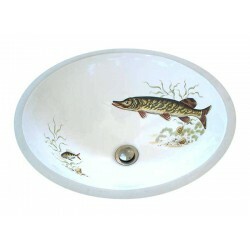 We are currently using Kohler Pennington drop-in basin for this design. It is available with 8" faucet centers, contact us if you want this option.